Being a businessperson you search for such employees who can be an asset for your business. And when you get them they work with full consciousness as they are new to your organization. But with the passing time, their consciousness get decreased. They don’t take things seriously and are least bothered about the company’s development. So at that time you being a businessperson have to become conscious. And this is not an easy task as you have to observe a throng of employees which is quite difficult for a single person to handle. And this is the time when employee tracking software will help you. You can keep an eagle eye on your employees. It is not said that they can’t take a break during their productive hours but everything has some limitation. And one should not cross that. So how can you keep an eye on your employees? Worried? No need to be. We are here to provide you the solution. But before that let’s see some of the misconceptions regarding the employee’s productivity. Making your employees work for long is productive. Not allowing them to go for a little break during the production hour. It is productive, not allowing your employees to get involved in little chit-chat with their colleagues. The above are simply a wrong concept to get the best result. As humans are not machines and if we consider, machines too need some rest, right? And the truth is that one cannot use only machines to get the best as they lack one of the best thing which is provided to humans and that is creativity. Well, the above-mentioned were some of the myths regarding employee’s productivity but you have to be conscious in making judgment about the one who is taking advantage of these misconceptions. So how will you do that? Well, PC monitoring software will be the best option to opt. With the help of the same, you can find out the one who is killing the productive hours unnecessarily. Now let’s just move on with the advantages which you will get with this. Well, this one of the best advantages of this software that is you can monitor all the activities of your employee’s PC and they will not know the same. This is so because the software will perform its activity without any slow down. Can you imagine a computer without Internet? Well, no one would even like to think that. And when it comes to business then Internet automatically plays its role. One cannot avoid Internet usage but can limit it. You are allowed to ban some of the sites which are not productive for your business. This can save your Internet usage. Also, you can record the internet usage. You are able to keep a track of website visited or the browsing history. Even the time they spend on each website every day. Social media is one of the popular place where employees love to spend their time. You can get to know how many times they visited and for how many hours or minutes. This is called so because you are able to monitor your employee’s activities from a single PC. You can keep an eye on each and every employee and make a judgement what are they on to, how are they utilizing the productive hours and much more. This software also allows you to take continuous screenshots of the work which is being done. As it has 24*7 observation capability. This will let you know how efficiently the work is being performed. It also records the keystrokes which will let you know when the system was left ideal and when work was being performed. For example, if someone is indulged in the social networking site for a long time then it will give an alert message. This will let you know who is the one misusing the productivity hours. Also, you can detect the site on which they were indulged. Still, there are various advantages of PC monitor software which you will get by using this software. For my wrapping words, I would like to say that be an efficient business person who can find the difference between the employees who are an asset to your business and who are not. And in doing this employee tracking will help you a lot. Subscribe to EmpMonitor and become the same. Share your views on this blog post and do follow our blog for more updates. PreviousHow A Staff Management Software Assists Employer To Boost Productivity? 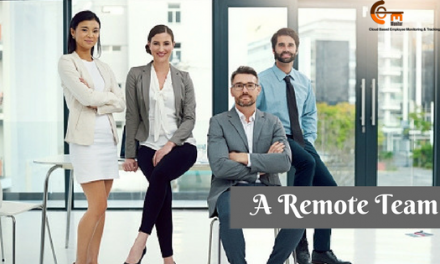 NextWhat Are The Advantages Of Employee Time Tracking Software? 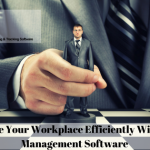 How to make an Efficient Use of Employee Management Software? 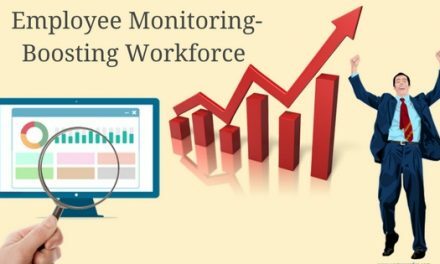 How Ethically Monitoring Your Employees Eventually Boosts Workforce?